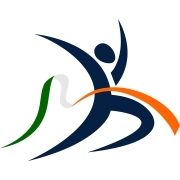 Sportsmatik is a sports community for all types of sports-persons and entities, looking for platform to connect with one another for a thoroughgoing pf sports. Here you can find all the information related to all major sports played around the world, sports venues, competitions and awards along with sports equipment and their uses. People can create their sports profile in a fraction of time and exhibit their sports skills ans achievements and hence, get career hype. Besides this, Sportsmatik offers a special stage to all merchants who want to highlight their sports merchandise and attract online customers. The website has amazing blogs section, events calendar and a birthdays records of famous sports personalities along with a synopsis of their major achievements. And this not the end. There are lots of features for you waiting to unwrap. Sportsmatik heartily welcomes all who want to excel in sports. Athletes, their guardian, coaches, physiotherapists, athlete-managers, sports doctors, sports nutritionists, sports fitness trainers, sports writers/ journalists, sports lawyers, sports logistics, sports-officials, sports accountants, schools, colleges/universities, clubs, academies, corporates, sports agencies, merchants, sponsors and sports enthusiasts (and more to come). Everyone can be a part of sportsmatik and groom together as a sports community by linking with one another. It also provides business and advertisement services to sports merchants and individuals who want to showcase or sell sports paraphernalia. Sportsmatik also aims to educate people about various sports played around the globe. People can also explore various things related to sports like technologies, awards and recognitions, uniforms and equipment, various competitions conducted at magnificent sports venues. Users can also perk up themselves with our amazing blogs.